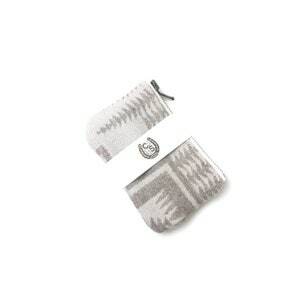 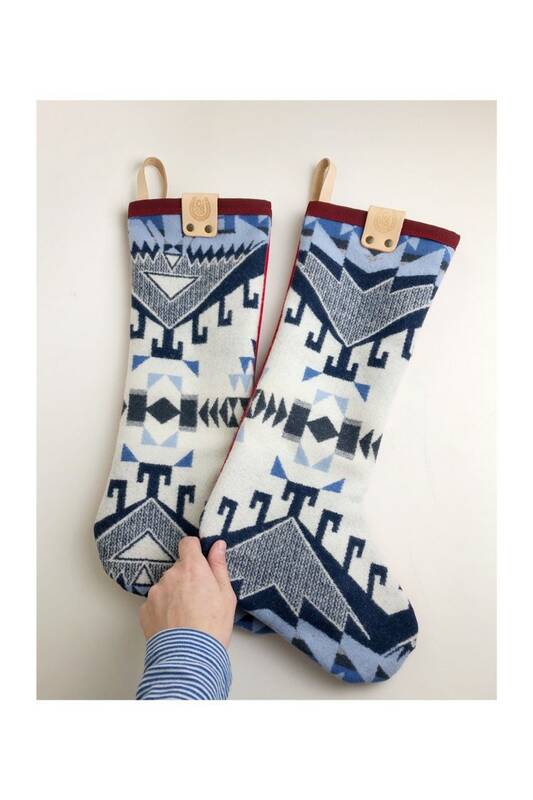 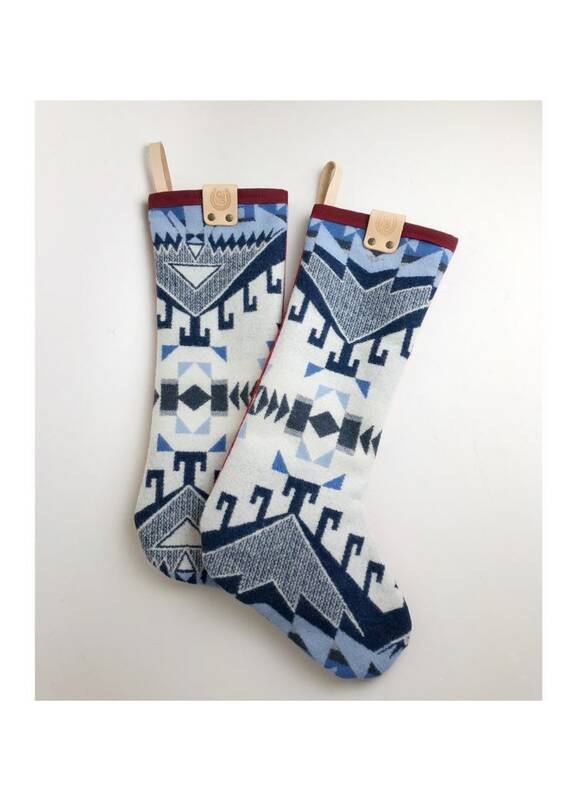 This genuine Pendleton® wool fabric stocking is sure to add a festive and rustic vibe to your holiday season. 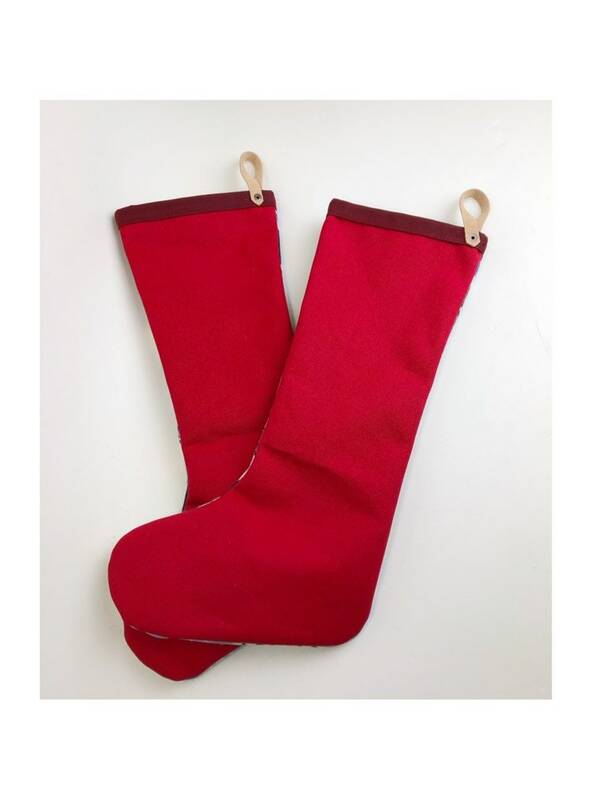 Each stocking is backed with a durable red canvas fabric and has a waxed canvas trim on the top. 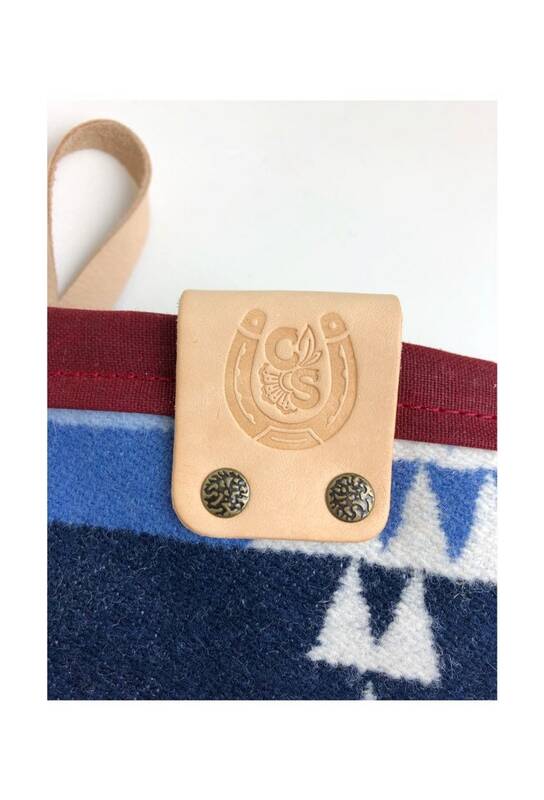 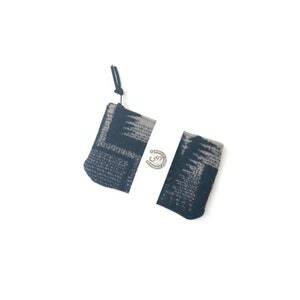 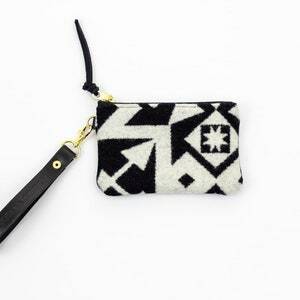 The hook and tag are made from Vegetable tanned leather.